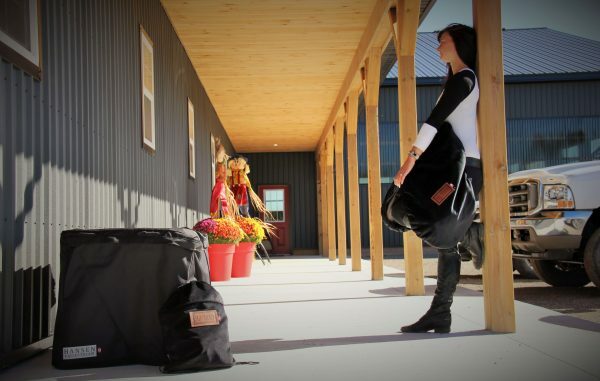 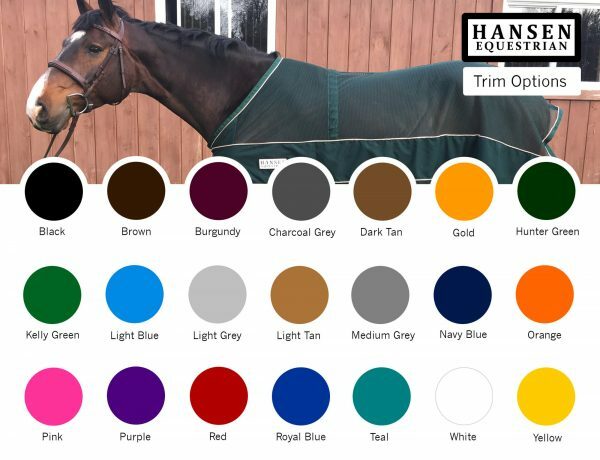 At Hansen Equestrian we are all about maximizing function while still maintaining aesthetics. 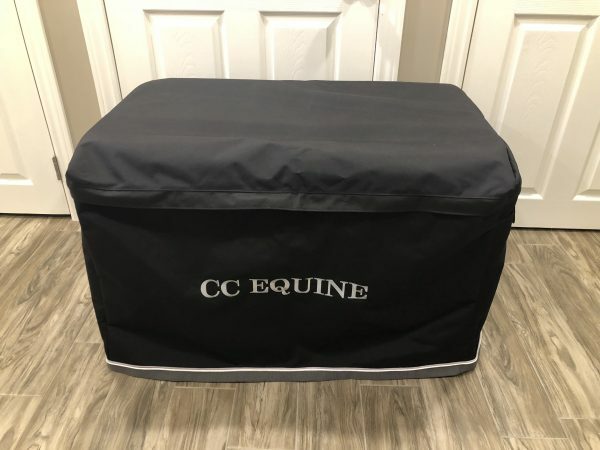 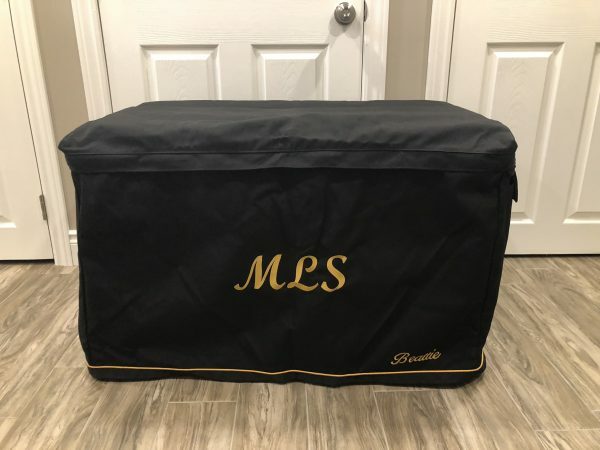 We have designed an equestrian trunk cover specifically for the most common tool chests (aka. 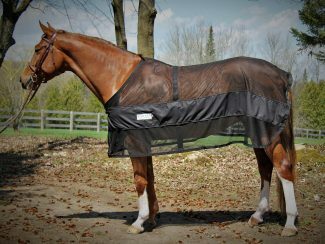 tack trunks) on the scene. 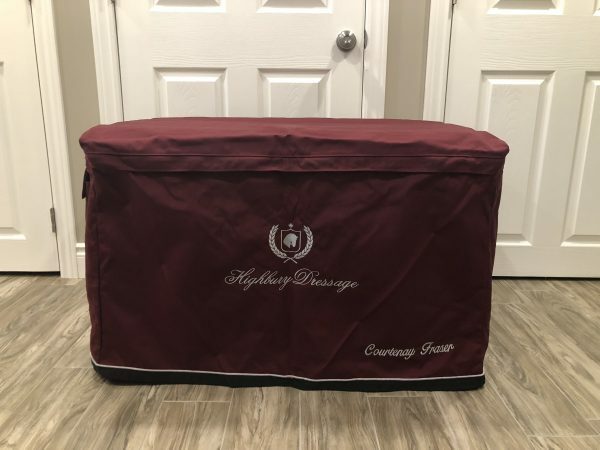 A full zipper around the lid of the cover allows you to open and close the lid of your trunk without removing the cover. 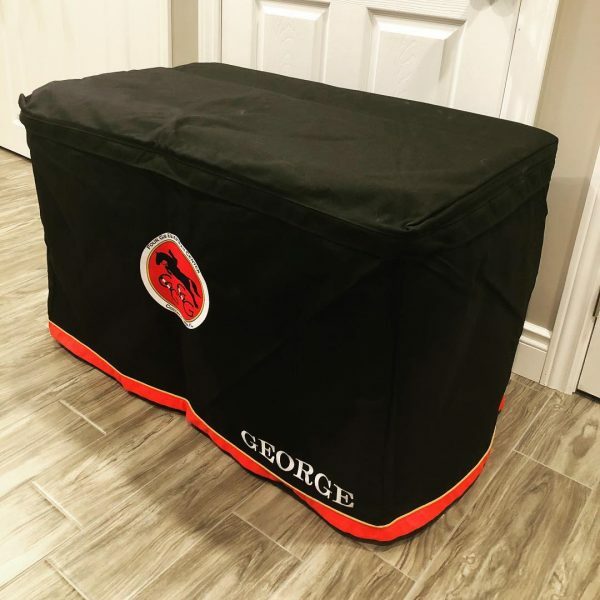 A perfectly sized hole at the side of the cover allows the trunk’s handle to be accessed without removing the cover. 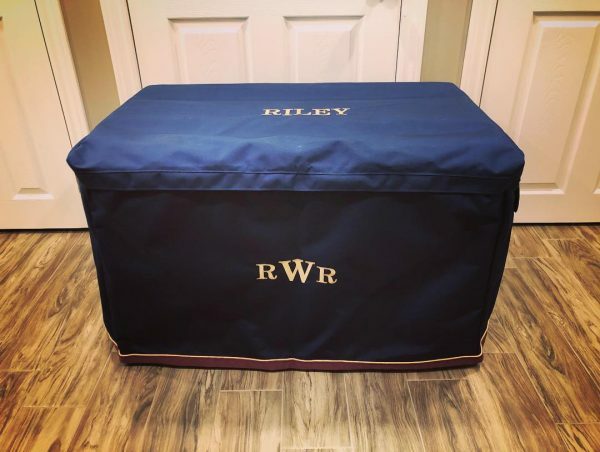 You literally never have to take it off! 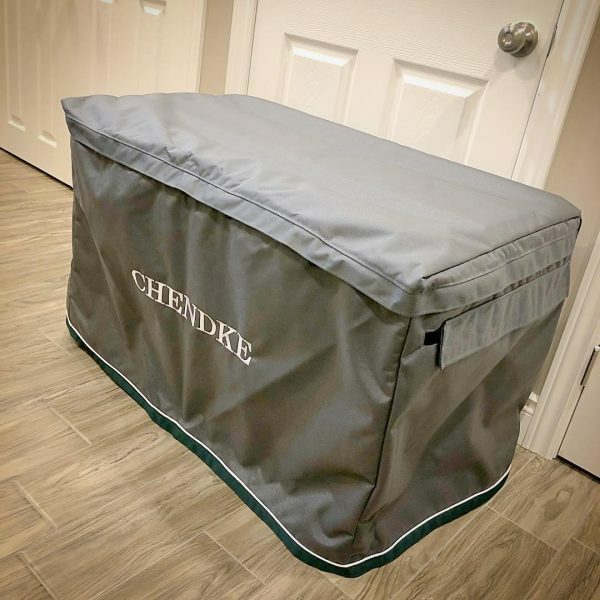 We make the covers from our cordura fabrics which are waterproof and machine washable. 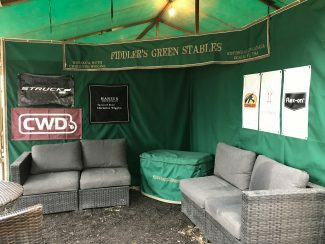 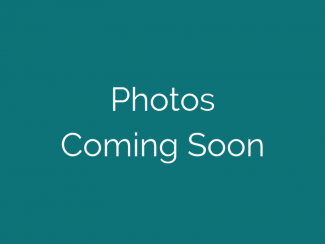 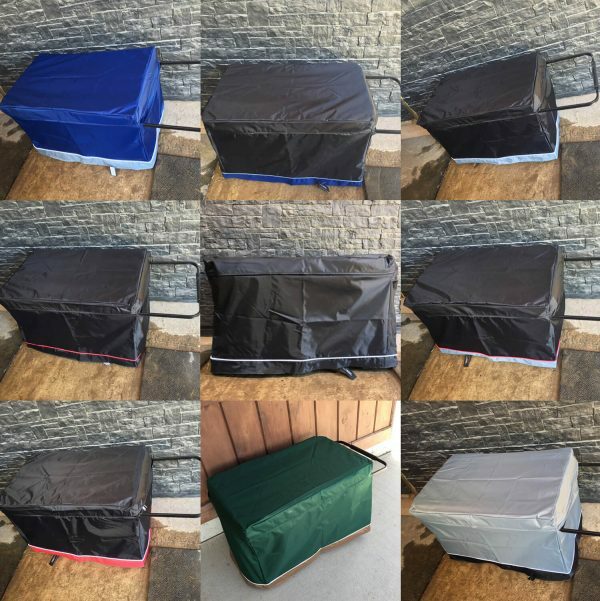 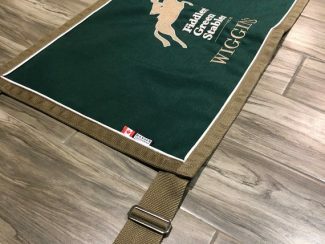 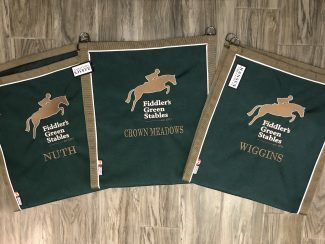 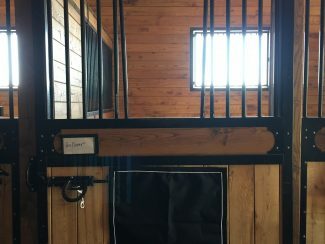 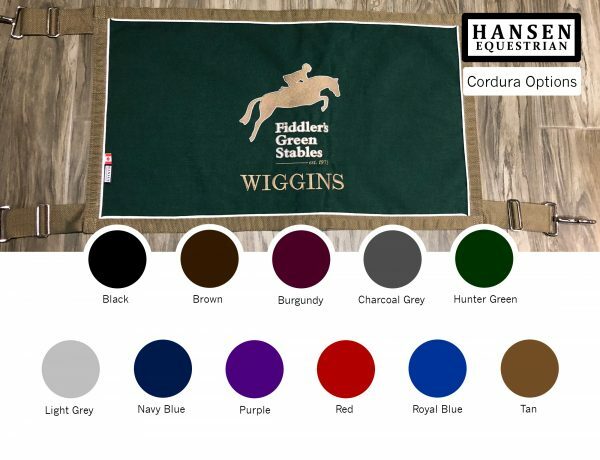 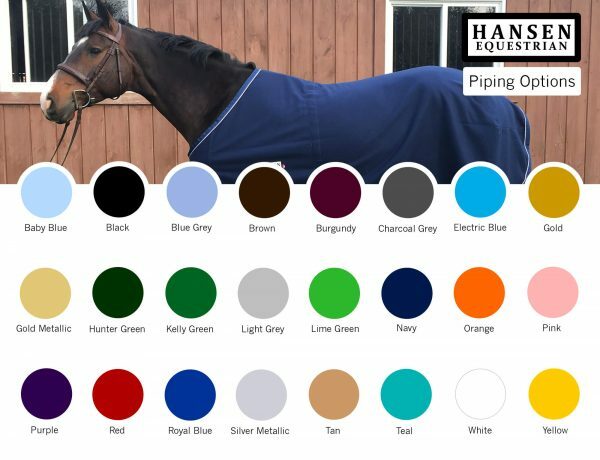 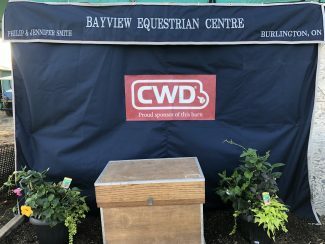 As part of our Hansen Show Collection, these covers can be ordered in bulk as part of a package deal for your entire barn with custom colour combinations and embroidery.